I’ve managed to keep up with creating a new tiny piece of art almost every day lately. It’s fun to experiment on such a small canvas (2.5″ x 3.5″) with watercolors and gouache, along with Micron pens, a Tombow marker and white gel pen to add a few details. Here’s week 4, days 22-28. You can follow my progress on Instagram as I participate in Victoria Johnson’s project called A Little Art, where you create a tiny piece of art everyday. 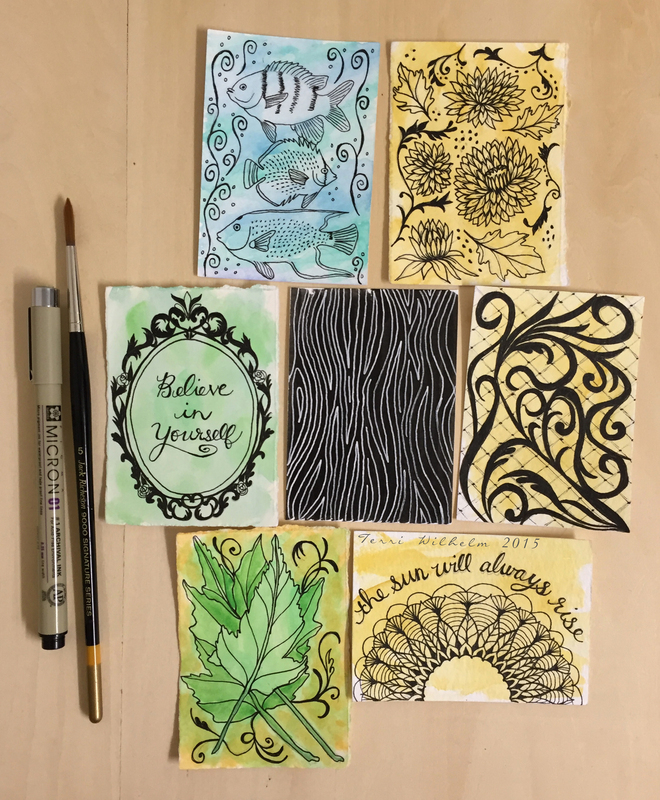 These tiny pieces of art measure 2.5″ x 3.5″ or scraps of watercolor paper leftover from other projects. Click here to see Week 1. Click here to see Week 2. Click here to see Week 3.